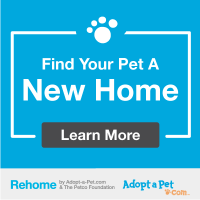 Our cat adoptions have been so successful It's difficult to keep them updated on the website, so please visit our PetSmart and Petco locations and our Cat Cottage to meet your new furry friend. We have as many as 30 cats available at all times. NEED HELP RE HOMING YOUR PET?